B&B Billy Boat Exhaust FCOR-0410 - B&B Corvette C6 Bullet System Quad 4.5 Double Wall Oval Tips; 2005-2008. The Bullet is the most aggressive performance exhaust system to be released! Not for the meek or mild, the Bullet has quickly become the industry standard for a deep, aggressive muscle car sound on the C5 and is now available for the C6. 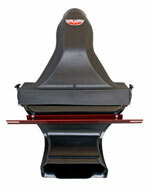 You can see performance gains of up to 18 rear wheel horse power and 17 foot pounds of torque from the Bullet. If you want to tone your Bullet down just a little bit, a great option is the PRT x-pipe section with resonators. This will help to smooth out the exhaust pulses and take the edge off the Bullet while maintaining that aggressive tone. All Billy Boat Performance Exhaust systems for the C5 and C6 come complete with mounting hardware and are direct replacement for stock exhaust systems. Attention to detail in manufacturing means easy installation. No machining. No down time. Just a faster, better sounding, better looking and more muscular Corvette right out of the box. All Billy Boat Performance Exhaust products are hand built using aircraft quality T304 stainless steel, backed by a lifetime warranty against rust, corrosion or burn through and a two year warranty against materials and workmanship. FCOR-0410 Features: 4 1/2" Quad Double-Wall OVAL Tips. Mandrel bent from the highest-grade T-304 stainless steel. Designed, tested, and manufactured to the finest hand-made integrity found in any exhaust system. * Black Tip Option will add aprox 1 week to ship time. Billy Boat Exhaust warrants its products, excluding catalytic converters, to the original purchaser of record and for the original vehicle on which the product was installed, against defects in materials and workmanship for the LIFETIME of the vehicle. This warranty is void if the product was not installed properly on the vehicle, was installed on a vehicle for which it was not designed, or was removed from the vehicle on which it was originally installed and reinstalled on another vehicle. This warranty shall not apply to normal wear, cosmetic issues such as coatings and material discoloration, any product that was installed on a racing vehicle, installed improperly or contrary to Billy Boat Exhaust instructions, altered, misused, repaired, damaged from an accident, collision, undercarriage road impact or debris, or willful or negligent act. Any modifications to the product or its intended use voids the warranty. No person or representative is authorized to extend any warranties on behalf of Billy Boat Exhaust, other than the warranty expressed herein. In no event shall Billy Boat Exhaust or any Billy Boat Exhaust Dealers or Distributors be liable for any loss, labor, inconvenience or damage…whether direct, incidental, consequential or otherwise. No person or representative is authorized to extend any warranties on behalf of Billy Boat Exhaust, other than the warranty expressed herein. Billy Boat Exhaust shall have no liability for the cost of installation or removal of the defective product, the cost of labor or any additional parts required to complete the installation of the replacement product, towing or transportation costs, or return shipping costs. In no event shall Billy Boat Exhaust be liable for any direct, indirect, special, incidental or consequential losses and/or damages, including but not limited to interruption of business or loss of business or loss of profit or damage to related components resulting from the use of or inability to use the product, or any breach of warranty or any defect in the product, even if Billy Boat Exhaust shall have been advised of the possibility of such potential losses or damages. Because sound is subjective, we do not warranty for sound. We offer various sound levels on most systems and encourage you to visit the extensive selection of videos on our website, YouTube.com, and our Distributor’s websites Please do not return your Billy Boat Exhaust product if you do not like the sound level. Tech support at Billy Boat Exhaust is available to help evaluate if an exhaust is acceptable for your vehicle. History and information about B&B Billy Boat Exhaust and their products. 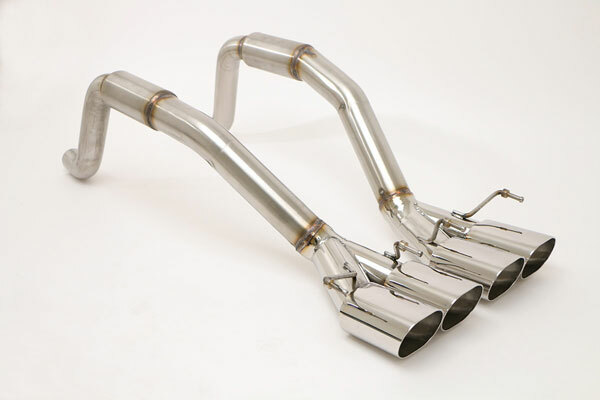 LMPerformance is proud to handle B&B Performance Exhaust systems. Since 1989 Billy Boat Performance Exhaust has designed, tested, and manufactured the highest quality stainless steel exhaust systems available. Originally specializing in Porsche 911 performance exhaust systems, oil coolers, and intercoolers, B&B introduced the Tri-Flo line named after its unique 3-into-1 Porsche header. Billy Boat continues to develop the highest performing exhaust systems for most sports cars, trucks, and SUVs. Billy Boat exhaust systems start with T-304 stainless steel the highest quality material practical for after-cat exhaust applications. B&B exhaust tubing is mandrel bent on sophisticated CNC machinery for a precise fit and uninterrupted exhaust flow. B&B&apos;s use of T-304 stainless steel flanges offers high strength and complete resistance to harsh elements. All hangers, resonators, and tips are T-304 stainless steel as well. Billy Boat Performance Exhaust mufflers have been developed in-house for years enabling them to give you the best possible product. B&B tunes each muffler to match its application for the best possible performance gain and sound quality combination. For strength B&B the muffler end-plates are radiused at the inlet and outlet preventing premature cracking. B&B uses reinforcing gussets when necessary. B&B offers 3" round tips with a rolled edge, 4.5" oval rolled edge tips, 5.25" oval rolled edge tips or DTM style tips for European applications. With over 25 years of experience in the racing and exhaust industry, Billy Boat is about to provide products offering top performance. Whether it is leading the field as the fastest qualifier at the 1998 Indy 500 or leading a team of highly skilled fabricators, performance is delivered to meet or exceed expectation. Billy Boat Performance Exhaust has spent the last ten years perfecting the sound of their exhaust systems. “We use two different packing materials and as many as three separate SCC’s inside the muffler”, says owner Billy Boat. This design creates the perfect harmony at any RPM range. You want your exhaust system to look good as well as sound good. B&B products are polished to a showroom finish and the exhaust systems are available with several different tip styles. Billy Boat Performance Exhaust offers a style and selection for everyone. LMPerformance had the discerning customer in mind when we offered B&B exhaust systems to our customer. 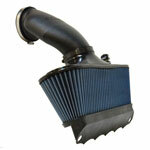 LMPerformance knows our customers want quality, sound and performance. B&B exhaust systems offer all three and LMPerformance offers the best price and customer service. We know we have convinced you of the reason you should consider B&B in your search for an aftermarket exhaust system and now let us convince you that you will benefit from this aftermarket enhancement. There are several reasons for adding an aftermarket performance exhaust system to your car, improved exhaust flow that allows the fuel and air to exit your car’s combustion chamber quickly resulting in creating more power. And there are the most noticeable to the senses; you guessed it, it is the improvement that this change makes in the overall quality of sound when you accelerate and the sensational look of those new stainless steel pipes. What’s the difference between our Billy Boat Exhaust Systems such as the C6 and C7? Billy Boat Exhaust has created a deep, healthy exhaust note at low RPMs with an assertive muscle car roar on acceleration. Not for the weak at heart, the Bullet has quickly become the industry standard for a deep, aggressive muscle car sound on the C6. You can see up to 18 rear wheel horse power and 17 foot pounds of torque from the Bullet. Billy Boat Exhaust’s boldest tip style and configuration insures your Corvette will scream ”muscle car”. The Billy Boat Exhaust PRT exhaust system is the latest in resonance control technology from BBE. Completely redesigned and reengineered for the C6, the system is simple in design, though more complex in theory. You can now have a mellow NO-DRONE sound at cruising speeds and a sport note when you’re tearing up the streets. It allows true straight through exhaust passage under aggressive driving conditions, though a mellow sound is emitted at cruising speeds thanks to the unique Purge Chamber. Designed especially for the automatic, paddle shift and cars with headers, this Billy Boat Exhaust PRT system works purely on physics and adrenaline. Increases of 15 hp and 14 ft lbs over stock. Billy Boat Exhaust has designed a Fusion NO-DRONE exhaust for the factory NPP and the non-NPP option equipped cars such as the Corvette, Camaro, and CTS-V. On most cars with the Dual-Mode NPP option, the butterfly valve in the exhaust is controlled by the ECU. The valve opens based on RPM and throttle position. Our expertise here at BBE is getting the “tone” right for your car, and we think we nailed this one. Even in the closed position, the tone is deeper, louder, and more aggressive. Open the valves, the overall volume and tone increases to the point heads will turn when you drive up. *Add our FCOR-0468 conversion kit for Corvette models without factory NPP controls. The kits comes complete with all the wiring, remote switch, vacuum line, vacuum accumulator, and vacuum switch needed for installation. Can only be ordered with Fusion Exhaust Systems. Reviews for B&B Billy Boat Exhaust's Other products are show below. I purchased the black ceramic tips with mine to match my vette and the look and sound is AWESOME!!! Abnormal!!! My Z4 has been turned into a BEAST. This beast sounds awesome, does not sound like a Z4. Turns heads everywhere I go. HP increase is incredible. Will Dino soon. Great on gas. Billy Boat Muffler is the real deal as advertised. AFE CAI, oiled type. 18 inch Run Flats. COULDN'T BE HAPPIER WITH FIT/ FINISH / WELDS. ONE WORD- AWESOME. FAR SURPASSED MY EXPECTATIONS, SOUND, QUALITY, BUILD, EASE OF INSTALLATION. The order was easy and delivered faster than anticipated. Great job LMP! The exhaust sounds awesome, loud and aggresive much like the muscle car I wanted. There is a drone but, remember your youth and turn up the radio! Really, not too bad, I can talk on the phone with no issue. LOVE IT... Greatt fit with an awesome look! First mod. Cold air intake is next. LMPerformance has got to be "THE" BEST part's place around.I just got my Exhaust installed it in the garage on a set of ramps from local part's store put on some tune's 2 hour's later i was 5 feet off the ground.SOUND's SICK can feel the diffrance BUT it srarted raining Thank you LMPerformance for your speedy service. B&B BULLET on 1999 C5 Corvette LOVE IT !!!!! The title says it all. The bullets sound better than expected and were incredibly easy to install. The shipping and service provided by LMPerformance was second to none! Thank you! This was my first purchase from you and I will be back for more. Keep up the great work. James F.
cam-k tech torquer Ls7 & springs ,headers,free flow cats, intake computer remapped.